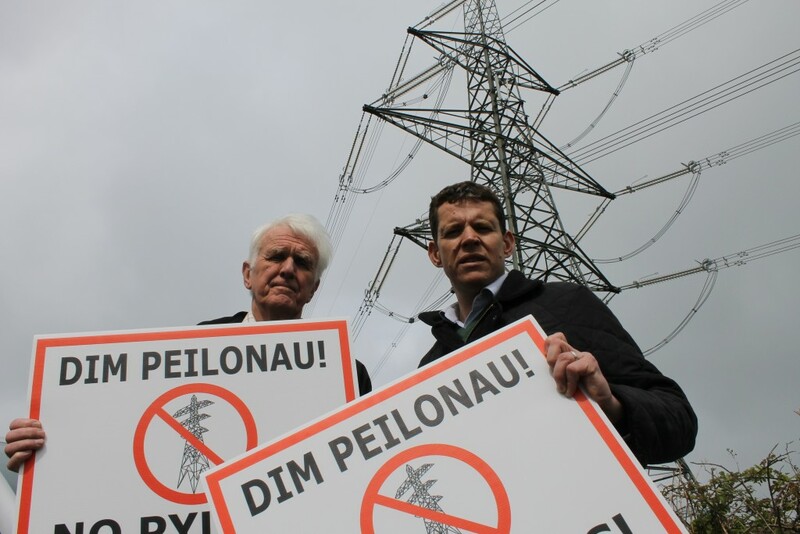 The National Assembly for Wales has called on National Grid to favour undergrounding when developing new transmission programmes in Wales, such as the one proposed for Anglesey as a result of a motion tabled by Ynys Môn AM Rhun ap Iorwerth. During the Plaid Cymru-led debate, Rhun spoke of the opposition on Anglesey to National Grid’s plans to build a new lines of pylons across the island and the preference towards alternative solutions which would have less of a visual impact. Following the debate, Assembly Members voted unanimously in favour of a preference for underground cables or alternatives to pylons. “It is cost which is at the root of the National Grid’s plans on Anglesey. Pylons are the cheapest option, or at least the short-term cost for the Grid is lower than other options. But what about the cost of pylons to the people of Anglesey? – on the value of their homes, to businesses, to tourism, not to mention the effect on living standards? “Today we asked the National Assembly for Wales to say that we believe that undergrounding should be the norm here in Wales – in the north Wales connection project, across Anglesey and the mainland, and every other project. “I am pleased to have received the backing of the majority of Assembly Members, and of Welsh Government, for a preference for undergrounding. north Wales Ukip AM give a passionate speech in favour of pylons! – the message is still a strong one. The Grid must now take into consideration that Wales’ democratic representatives have said that they should stop just looking for the cheapest option.